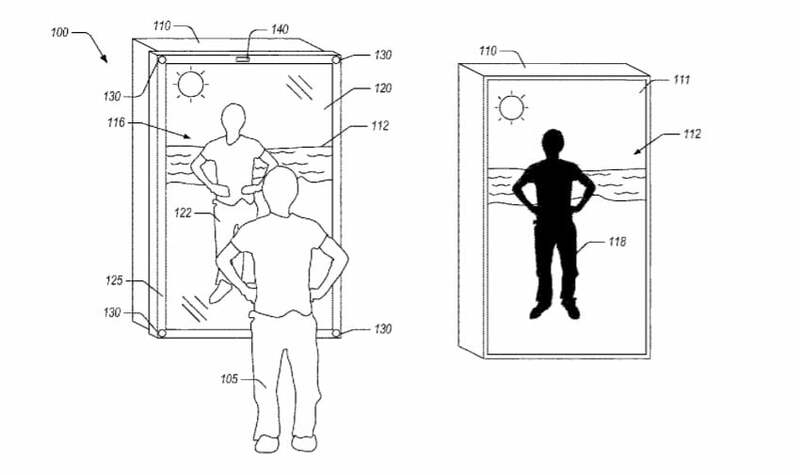 Amazon has patented a mirror that would enable users to try on clothes virtually. Although tech firms often patent technology they never bring to market, Amazon’s virtual mirror makes sense because it could help it sell more clothing. Further, the description that’s included in the patent makes the device sound like it would fit in well with the company’s Echo Look device. If it ever becomes reality, Amazon’s virtual mirror would let users try clothes on in a form of virtual and augmented reality, also referred to as mixed reality. According to the patent (first spotted by Geekwire), Amazon’s virtual mirror would be partially transmitting and partially reflecting. Users who look at the virtual mirror see a reflection of “illuminated objects in the scene and the transmitted images from the display device through the mirror,” the patent application filed with the U.S. Patent and Trademark Office explains. Amazon’s virtual mirror allows the images that are being transmitted to be “perceived as part of the reflected scene,” it adds. Amazon’s virtual mirror utilizes a suite of projectors, displays and mirrors to form a blended image of the user wearing whatever clothing she wants to “try on” in front of a mirror. The device scans the area around the user to create a sort of virtual world and then scans the user’s eyes and face to figure out which of the items in the user’s actual appearance should be included in the blended image. After that, the device transmits the virtual apparel onto the user’s body to make it look like she’s wearing them. Of course, there’s no guarantee that this device will make it onto the market, but it would fit in perfectly with the company’s Alexa-powered Echo devices. The Echo Look in particular could be evidence that Amazon is considering actually creating a virtual mirror like the one described in the patent. The Echo Look is a voice-controlled camera that can provide fashion advice, thanks to artificial intelligence. Users simply ask the camera to check out whatever they’re wearing, so it takes photos and offers a judgment based on AI, transforming Alexa not only into a digital assistant for information but also for advice on fashion. Amazon also acquired Body Labs, a 3D body model startup, in 2017 for $50 million. The firm’s technology utilizes artificial intelligence and computer vision, and it previously touted its technology as being able to create models of the human body in motion in 3D and even add virtual outfits. Amazon’s virtual mirror sounds like a clear application of this technology, so perhaps the virtual mirror will become reality. One of the challenges with buying clothing online is being able to predict how it will look on you, so Amazon’s virtual mirror could solve this challenge. The e-commerce giant probably sees dollar signs if the device actually works well and catches on; and let the so-called “retail apocalypse” continue.